I have a favorite pizza restaurant in Nashville. Their crust is so airy and never soggy. They have the beer I like and the atmosphere seems really authentic. Seems like a great set of problems to have, right? Wrong. Usually if I have a favorite dish at a restaurant I love, I have a “no trying to make this at home” rule. I made the mistake of trying to copy our favorite pie and I succeeded. Now we never go there anymore because we can just have it at home-with more beer. To make matters worse, it couldn’t be easier and it looks fancy schmancy. 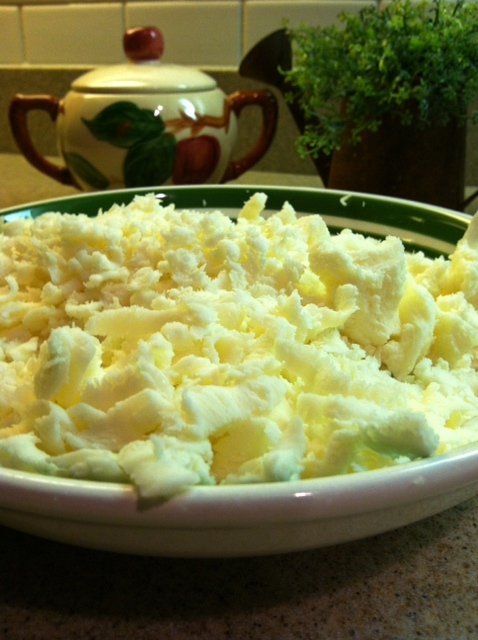 To make grating fresh mozzarella a cinch, pop the whole ball into the freezer for 10 minutes before grating. 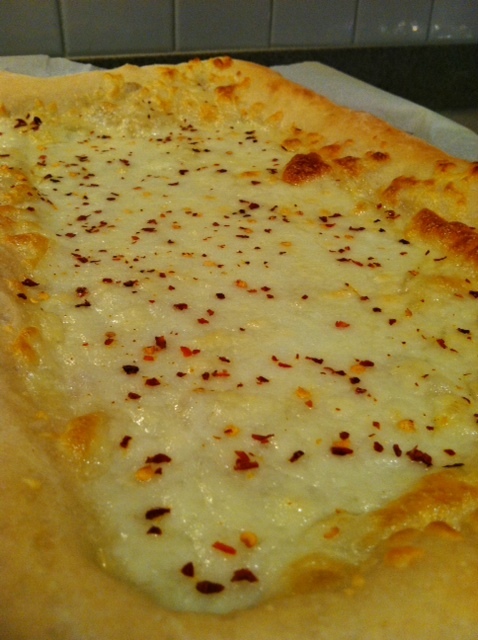 After par-baking the crust, bake with cheese. 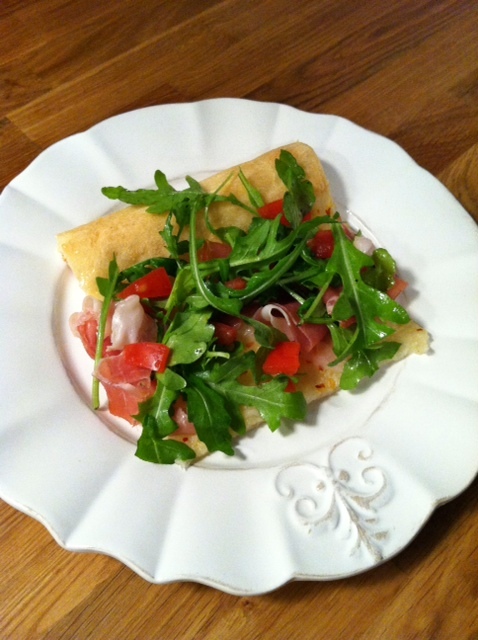 Top with arugula and tomato. Fold your piece of pie in half for best results! 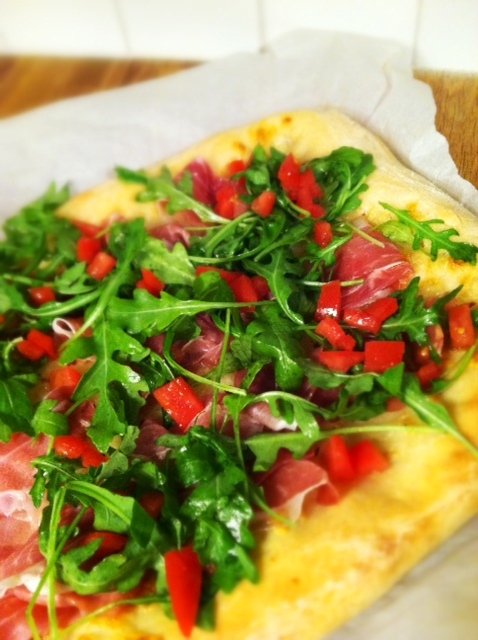 Shape pizza dough and bake on parchment line cooking sheet for 7 minutes. 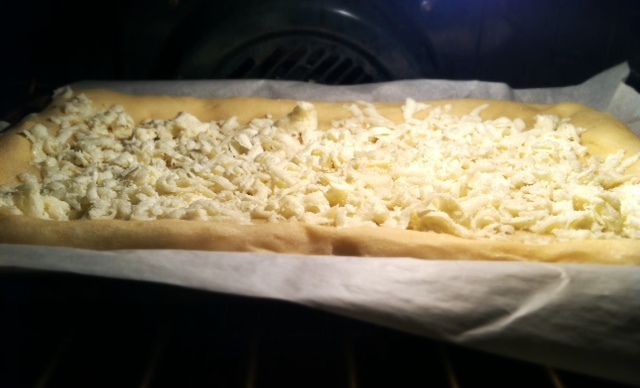 Spread mozzarella cheese onto par-baked dough and bake 15 more minutes or until cheese is browning and bubbling. 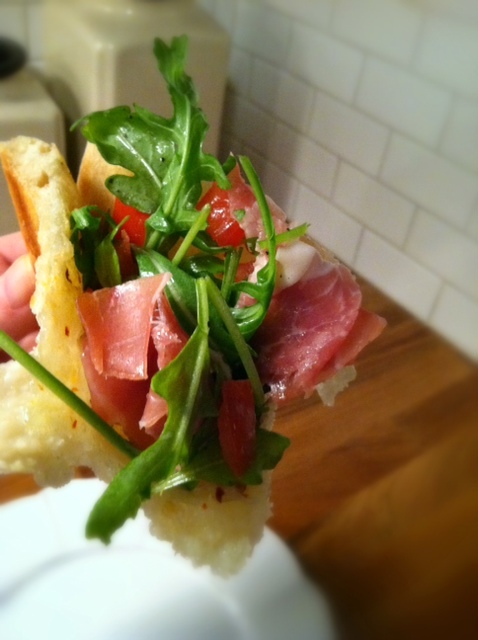 Toss arugula with a few drizzles of olive oil, a pinch of salt and a few grinds of pepper. Sprinkle red pepper over cheese. 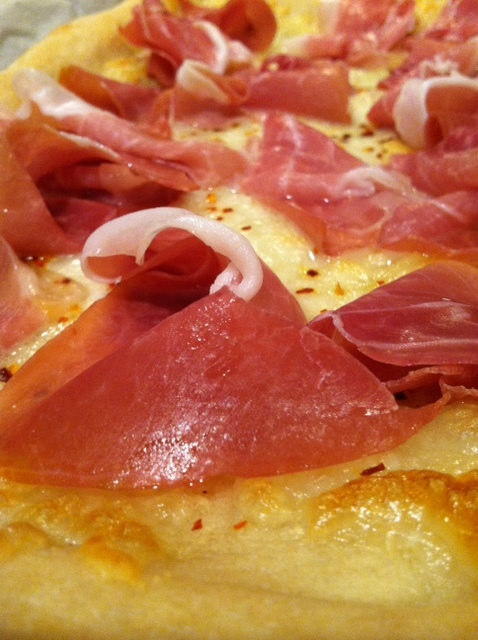 Tearing each piece of prosciutto once, place pieces evenly over pizza. 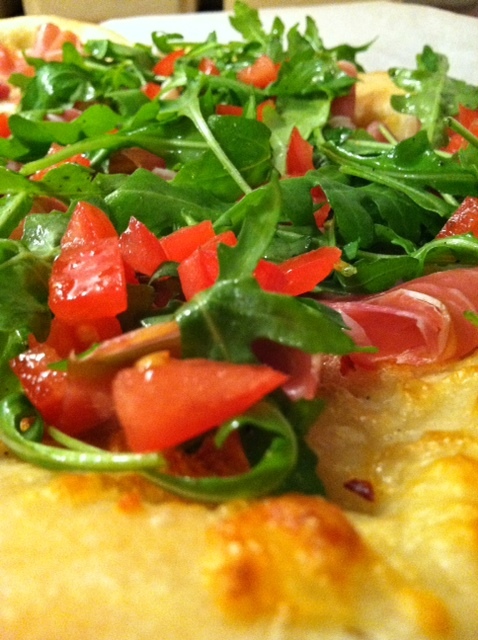 Then spread arugula and sprinkle diced tomatoes. I feel like I’m calling them out!?!? !